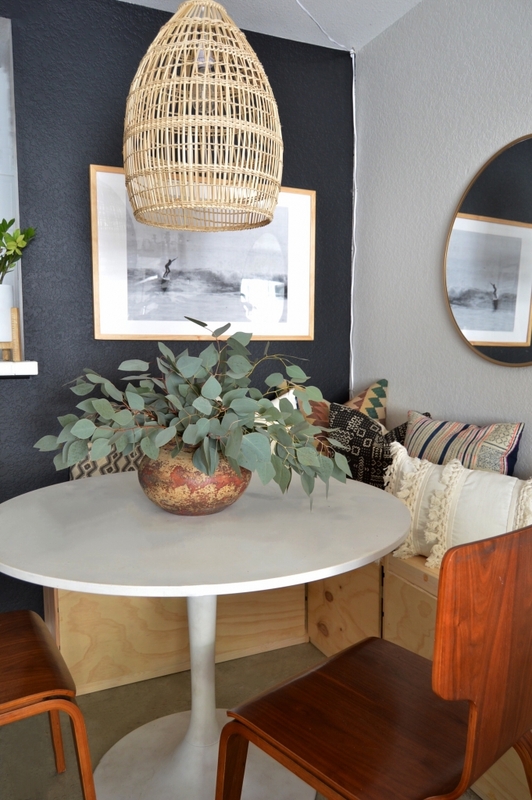 Alrighty…so last time I posted I mentioned that I was painting one wall in the breakfast nook black and that I did. I fell in love with the paint color Carbon by Behr in the matte finish, and to clarify it is not Carbon Copy…that color is more charcoal. This is a true black. For the finish selection, it was imperative that we used the matte finish because our lovely 80’s condo has horrible texture on the walls. The matte finish definitely hid all the imperfections. I also decided to spend a bit more money on the paint type in order to get the best coverage. I used Behr Marquee paint which has an advanced primer and paint formula that covers in one coat (this is not sponsored, just super happy with it). So, for any of you that aren’t the biggest fans of painting, spend the extra and get this type. Now, so many people on my Instagram voted a very clear and enthusiastic YES to the black wall. There were a handful of those with concerns that it would darken our space and change the look of our nook. It was totally ok with me that the nook was getting a drastic, more dramatic look. I wasn’t going to be ok if the black wall made our home feel darker, but I wasn’t truly concerned about this because of the location of the wall. This wall is directly opposite a full wall of sliding glass doors, so the light that shines in goes immediately to this wall. We have now had this wall painted for 5 days and I absolutely love it. 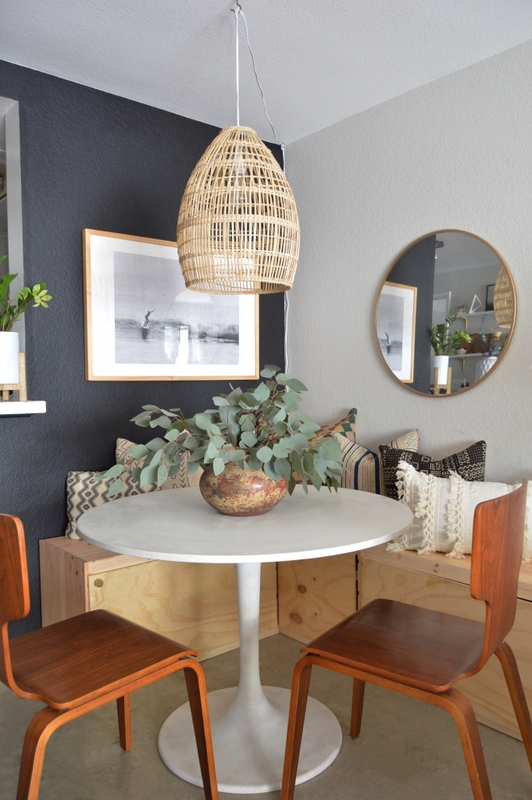 It feels edgy and cool, truly makes my rattan pendant light stand-out and I love how the pillows pop off of it too. It is a super fun change.